Acer on Monday capitalized on Intel’s 8th generation Core processor launch by announcing a new notebook designed for casual gaming. The Acer Nitro 5 Spin features a 15.6-inch FHD IPS convertible display, Nvidia GeForce GTX 1050 graphics and up to 16GB of DDR4 memory – all powered by none other than Intel’s new 8th gen Core CPU. The notebook can also accommodate a PCIe solid-state drive up to 512GB in capacity and features a host of other amenities including USB Type-C connectivity, a backlit keyboard, a fingerprint scanner that supports Windows Hello and dual front-facing speakers with subwoofer. 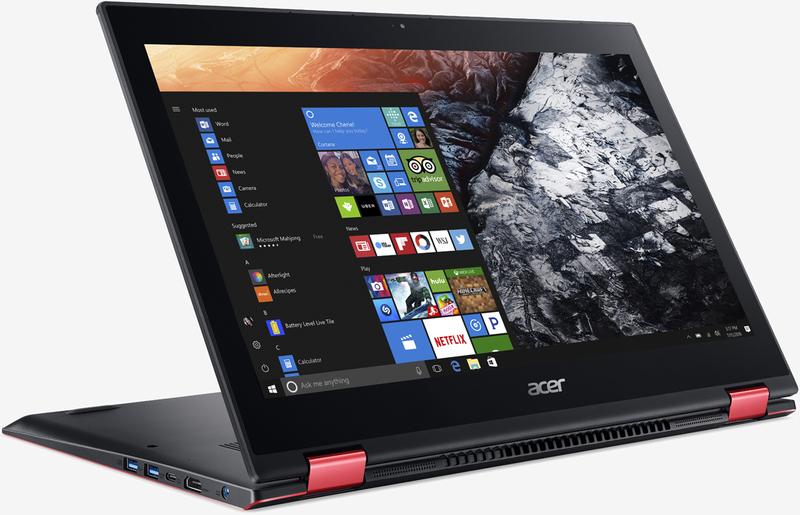 Acer’s Nitro 5 Spin measures 15.01 (W) x 10.16 (D) x 0.70 (H) inches and checks in at a weight of 4.85 pounds. Its 48Wh, 3220mAh 4-cell lithium-ion battery is reportedly good for up to 10 hours of runtime. 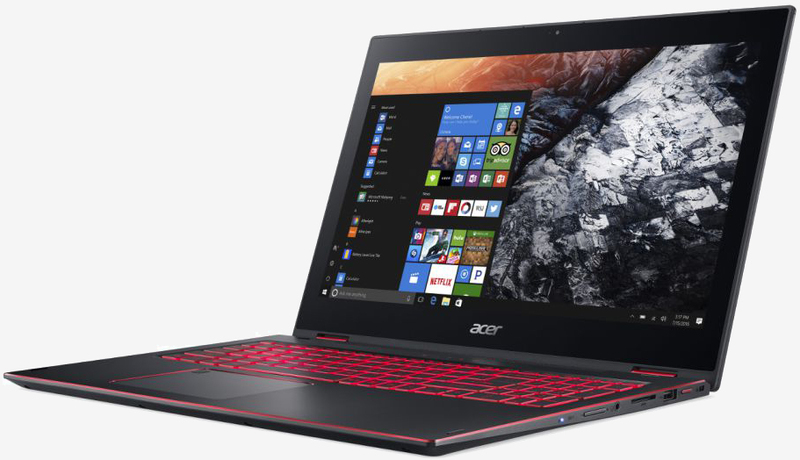 Chris Walker, Vice President of the Client Computing Group at Intel, said Acer’s new Nitro 5 Spin notebook capitalizes on the up to 40 percent performance boost [offered by the 8th gen Core processor] over just last year, making it possible to take casual gaming and rich entertainment on the go in a flexible, sleek device. Considering the system will have a U-series chip (versus, say, an HQ-series processor), it’ll be interesting to see how performance pans out. Pricing starts at $999 with North American availability slated for October. Im assuming that means itll be a 4 core ULV cpu. I love this - its a solid gaming package in a decent form factor. I just hate the red color scheme that half these budget gaming laptops put on. I also wish it was 14"
I can't see many people willing to shell out $1000 for this. I would rather get a Xbox One X at half the price. The Lenova Yoga 720 15 2-in-1 inch comes with a GTX 1050, 4k screen, active pen compatibility and an I7. I thought this was great until I realized my four-year-old 980m ranks quiet a bit higher than the 1050. I'm not seeing what makes this so special.